Maybe you like living in Japan so much that you want to be able to stay permanently. To do this, if you are a foreign national, you will need a Permanent Resident visa. In Japan, your residential visa type is shown on your Resident Card. The Permanent Residency visa allows unlimited duration for your stay in Japan. However, you must still renew your Resident Card, every 7 years, but this process is simple. Unlike other visas, once a Permanent Resident visa is granted, you no longer face restrictions in your employment or other activities. If you are an ordinary visa holder, you may apply for a Permanent Resident visa after you have lived in Japan for 10 years or more. If you have been approved as a Highly Skilled Professional (HSP), you may apply for Permanent Residency after 3 years from the date you were approved as an HSP. If your application for an HSP No.1 is assessed as having 80 points or more, you can apply for Permanent Residency in 1 year. The time you lived in Japan before getting the status of an HSP does not count towards meeting this 3 years residency requirement as an HSP. For example, if you were approved as an HSP after living in Japan for 2 years, this period prior to being approved as an HSP would not be included in the 3 years of residency required before a Permanent Residency application can be made. If you are the spouse of a Japanese national, you can apply for Permanent Residency after 3 years. you have other problems such as a minor traffic offence. Your payment record of the taxes and social insurance premium is particularly important. Sometimes your financial situation can affect your application. For example, recent cases have required a minimum annual income threshold of 3.3 million yen for a single person, 4 million yen for a couple and 4.5 million yen for a couple with a child. Further, if you have changed your job in the past, it is now required that you report about your employment changes to the Immigration Bureau when you make an application for Permanent Residency. In Japan, all residential visas are issued as in the form of a Resident Card that specifies the visa status. When you obtain a Resident Card for the first time, you need to register your address at your local municipality office in Japan as defined by the Residential Basic Book Act. If you move, you must re-register at your new address. Your personal information will be transferred online from the Immigration Bureau of Japan to your local municipality office. Once you are approved for Permanent Residency, you will be issued a Resident Card that shows your status as a Permanent Resident. If you already have a Resident Card with a different status, you will exchange the old Resident Card for the new Resident Card. If you have been away from Japan for 6 years or more since you received your Permanent Residency, your Permanent Resident status may be revoked. As a principle, you must make sure that you have at least 6 years of valid residential registration in Japan during the 7 years’ renewal period. If you commit any crime, including tax offences, you can be subject to Forcible Deportation. Your Permanent Resident status may become void in these circumstances. One thing to note is that if you are considering bringing your parents from overseas, HSP No.2 visa may make things easier for you than the Permanent Resident visa. If you are HSP assessed, you become HSP No.1 first and after being HSP No.1 for 3 years you can become HSP No.2. Make sure to obtain a Re-entry Permit if you may be staying outside Japan for over 1 year. If you stay outside Japan for more than 1 year without a Re-entry Permit, your Permanent Resident status becomes void. What happens if your Japanese spouse passes away? What happens if you get a divorce? In these cases, there is no change to your Permanent Residency status. The Immigration Bureau has a rigorous process if you want to apply for Permanent Residency. First, you will need an Application form for Permanent Residency. You will also need a document that describes the reason for your application for Permanent Residency in Japan. This must be written in the Japanese language. You may submit supplements such as photos of yourself at work and with your family. It is better to have as much information as possible to support your application. For your personal identification, you will need various certificates such as your family register, your birth certificate, and your marriage certificate. In addition, you must provide your Certificate of Residence. To further your application, recommendation letters from companies and universities can be beneficial. You will also need the documents to certify your social status and means of financial support, as follows: if you are an employee of a company, you will need your employment certificate; if you are a company executive, you will need a certified copy of the corporate register; if you are self-employed, you will need a copy of your final tax return and statements of payments of national pension and national health insurance. As a proof of income, you will need a withholding tax allowance certificate. A self-employed person needs a certificate of tax payment. You will need to provide a certificate of your bank account balance or your actual bank account book and a copy. If you own any real estate, you will need certified copies of the real estate register as well. You will also need a certificate of residential tax payment, because a tax payment record as a resident in Japan is one of the assessment criteria for a Permanent Resident visa. Regarding your Japanese Pension levy payment record, you can use the internet system called “nenkin net” (https://www.nenkin.go.jp/n_net/) to obtain a printed copy of your payment record. Many applicants for Permanent Residency have difficulty obtaining a personal reference from a guarantor. This is required as part of the application. Your guarantor must be a Japanese national or a permanent resident in Japan. Your guarantor’s occupation certificate, income certificate, and Certificate of Residence will be required as well as the guarantee document. If you have received a decoration for bravery or distinguished services, or a certificate of commendation from a local government or the national government of Japan, then you should submit certified copies of them. You may also submit any proof of your activity as a volunteer. The possibility of obtaining a Permanent Resident visa improves with thorough preparation and submission of the above documents with the application form. As previously mentioned, some recent cases showed the financial requirements for approvals: minimum annual income of 3.3 million yen for a single person, 4 million yen for a couple and 4.5 million yen for a couple with a child. Paying tax and having an occupation with a stable income is one of the key aspects towards approval. If your current visa is likely to lapse before your Permanent Residency assessment is completed, make sure you apply for your visa extension before the expiry of your current visa. The My Number System started in 2016 and will affect foreign nationals as well as Japanese nationals. Even if you hold Permanent Resident visa, if you do not have Certificate of Residence in Japan, you will not be issued your My Number. For people who register their address in Japan now, everybody is issued their own My Number. However, if you were living in Japan before the system started, you may not have your own My Number issued yet. This system allows tax payment records of Permanent Resident visa holders like other My Number holders to become easily accessed by the immigration authority. You may jeopardise your visa renewal if there is no record of issuance of your My Number and tax payments. Also, the My Number System will allow the authority to check the payment records for the national pension system and premiums for national health insurance. As mentioned before, lack of pension and health insurance payments can also place the renewal of your Permanent visa into jeopardy. The approval process for the Permanent Resident visa has stringent criteria that many will find overwhelming without assistance. However, once you are approved as a Permanent Resident, you will be spared the cumbersome task of applying for changes to your visa type and duration. 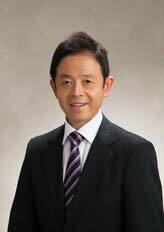 Through another Masami Sato office, we can advise you about pension systems and social insurance matters. Contact us if you wish to receive support from the labour and social security attorneys in our office of “shakai hoken romushi Tokyo kokusai jimusho“.